Yesterday, the Central Bureau of Statistics (CBS) and the Ministry of Infrastructure and the Environment published the latest road traffic fatality figures for the Netherlands. The press release reads as follows. In 2013, 570 people died in road accidents in the Netherlands. That is 80 fewer than the previous year, a decrease of over 12 percent. The decrease is significantly stronger than the European average of 8 percent. Particularly among motorcyclists, but also among car occupants, cyclists and pedestrians, there were fewer fatalities. In 2013, 29 motorcyclists were killed in a traffic accident. In 2012 that was 56. This significant decrease occurred especially among 30 to 60-year-old motorcyclists. The number of fatalities for drivers and passengers of private motor vehicles fell by 39 and was 193 in total. Almost half of these deaths were caused by a collision with another motor vehicle. The number of cyclists killed in traffic has fallen by 8 percent, from 200 in 2012 to 184 in 2013. Especially among children younger than 15 years, the number fell. In 2013, five young cyclists died, a year earlier that was 13. Fatalities among pedestrians fell from 68 to 56. Such a significant decrease sounds like good news. However, to some that number of 184 cycling deaths may seem like an awful lot for such a small country with just 16.8 million inhabitants. To put it in perspective you have to bear in mind that the Dutch cycle incredibly much and that that distance is also increasing. According to CBS Netherlands, the distance cycled in the years from 2010 to 2012 was 13.7 billion kilometres. This increased to 14.8 billion kilometres in 2012. Which makes the risk of a fatal accident per kilometre cycled very low and also much lower than in most other countries. 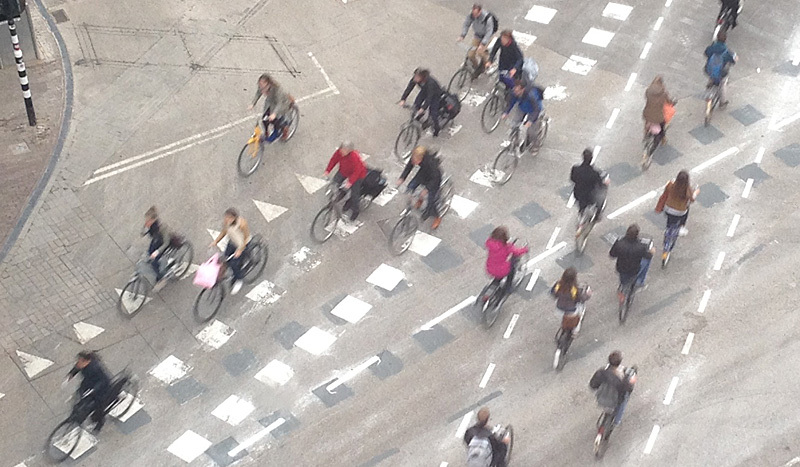 Cycling in Utrecht during morning rush hour in April 2014. The Dutch Fietsersbond (Cyclists’ Union) published the following comments. The past two years the number of cycling casualties remained constant at 200, that the death toll is now decreasing again is a good development. But for the Cyclists’ Union this is no reason to be really satisfied. The Netherlands has in fact returned to the level of 2009, and every fatal accident causes a great deal of grief. The Cyclists’ Union urges municipalities and the minister to take action together with the Union to improve road safety. Cyclists who die in traffic are usually victims of a collision with a motorized vehicle such as a car, a tractor, a scooter or a bus. In recent years, the Cyclists’ Union took the initiative to equip cars with a so-called “bicycle airbag”. Recently this innovation won an important award in the field of road safety. The figures in these publications are only about traffic fatalities. There are reports that the number of cycle injuries is increasing. But that is not what these press releases were about. Most of these sorts of collisions occur on old infrastructure that has yet to be redesigned. As in, roads that do not yet conform to Sustainable Safety. Like the bike box near the hospital in S’Hertogenbosch that caused a ruckus in the news a few years ago about an American driver getting out of control and injuring 3 cyclists and narrowly missing a 4th. Zwolle and Enschede and other cities that commonly have bicycle lanes where there should be a cycle path and where roundabouts have cycle lanes instead of cycle tracks. Intersections in Amsterdam and other places where there is no room for turn lanes at signalized intersections that could have simultaneous green to bypass that problem, and places where separate signal staging could be implemented, roundabouts replacing other intersection types. Consider joining hundreds of locations in the May 20th Worldwide Ride of Silence, honor cyclists injured or killed while riding on public roadways, and raise awareness of our rights to use these roads…… SHARE THE ROAD. I’m not completely opposed to the idea of smarter cars, but they can’t be a substitute for actual safe infrastructure. Yet, I feel like the planning community is in the process of getting sucked into that trap of expecting the tech to save us, and expecting bikes to be part of that revolution. True. Even if a road is safer because of these things like airbags, they are unlikely to increase the number of people cycling. I mean riding next to a truck is still intimidating regardless of how many safety innovations you have. Still concerning figures, Mark, though great to see the stats on how much people are riding. I’ve passed it on to Australian readers (and others). 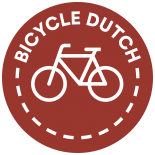 This entry was posted on 25 April 2014 by Bicycle Dutch in Original posts and tagged figures.